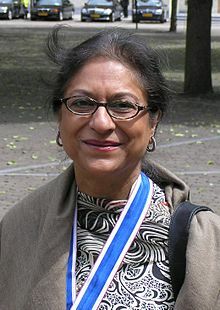 On October 13-14, a two-day conference was held to pay tribute to Pakistan’s world renowned human rights activist, Asma Jahangir. The conference centered on the theme ‘Justice for Empowerment’ and was attended by human rights and civil society activists, political leaders and lawyers from around the world. Speakers included Pakistan Peoples Party chairperson Bilawal Bhutto Zardari, Awami National Party leader Afrasiab Khattak, federal minister for human rights Dr Shireen Mazari, former speaker of the National Assembly Ayaz Sadiq, Chief Justice of the Supreme Court, and former secretary general of the Human Rights Commission of Pakistan (HRCP) Ahsan Bhoon SC Bar Association President Kamran Murtaza. Ambassadors from various countries also attended the conference, including HE Jean Francois Cautain (head of the European Union Delegation), HE Koebler (Germany), HE Ingrid Johansonn (Sweden), HE Margaret Adamson (Australia) and HE Ajay Bisaria (India). Among international guests who travelled to attend the conference were the Hon. Michael Kirby AC CMG (former justice of the High Court of Australia), Kirsty Brimelow QC (chair of the Human Rights Bar Committee, England and Wales), HE Annika Ben David (Sweden’s Ambassador at Large for Human Rights, Democracy and the Rule of Law), Kamla Bhasin (Indian poet and activist) and Dr Nimalka Fernando (attorney and women’s rights activist, Sri Lanka). The two-day conference had nine different sessions where speakers shared ideas. The participants of the First Asma Jahangir Conference on Saturday resolved that the imposition of censorship in the name of national interests must end as it is detrimental to the fundamental rights.